Harvard University Press, 9780674504844, 416pp. King Lear exists in two different texts: the Quarto (1608) and the Folio (1623). Because each supplies passages missing in the other, for over 200 years editors combined the two to form a single text, the basis for all modern productions. 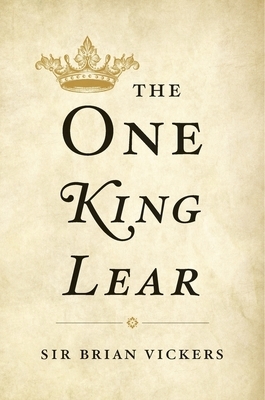 Then in the 1980s a group of influential scholars argued that the two texts represent different versions of King Lear, that Shakespeare revised his play in light of theatrical performance. The two-text theory has since hardened into orthodoxy. Now for the first time in a book-length argument, one of the world's most eminent Shakespeare scholars challenges the two-text theory. At stake is the way Shakespeare's greatest play is read and performed. Sir Brian Vickers demonstrates that the cuts in the Quarto were in fact carried out by the printer because he had underestimated the amount of paper he would need. Paper was an expensive commodity in the early modern period, and printers counted the number of lines or words in a manuscript before ordering their supply. As for the Folio, whereas the revisionists claim that Shakespeare cut the text in order to alter the balance between characters, Vickers sees no evidence of his agency. These cuts were likely made by the theater company to speed up the action. Vickers includes responses to the revisionist theory made by leading literary scholars, who show that the Folio cuts damage the play's moral and emotional structure and are impracticable on the stage.